I can never find natural extracts (except for vanilla) in my area of the world, so one fine day I finally gave up and went all geeky to make my own! It's also way cheap and also a great way to use up orange peels that might otherwise get tossed out. So there I was opening up my old box of school stuff, rummaging through my old food biochemistry notes from grad school and boy was I hit with a moment of nostalgia! I remembered the times when we learned how to extract pectin from apples and oranges, corn starch from corn, essential oils from plants by distillation. 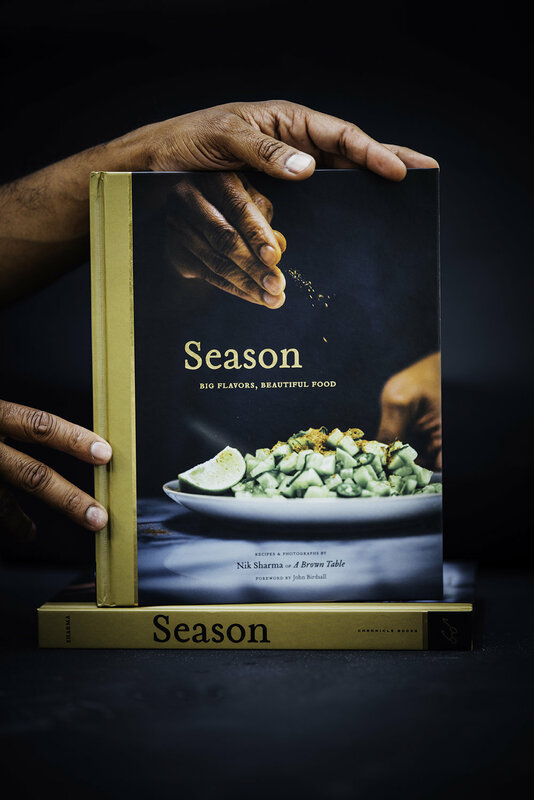 Those were some fun times, especially for me since I love food and the science behind cooking. 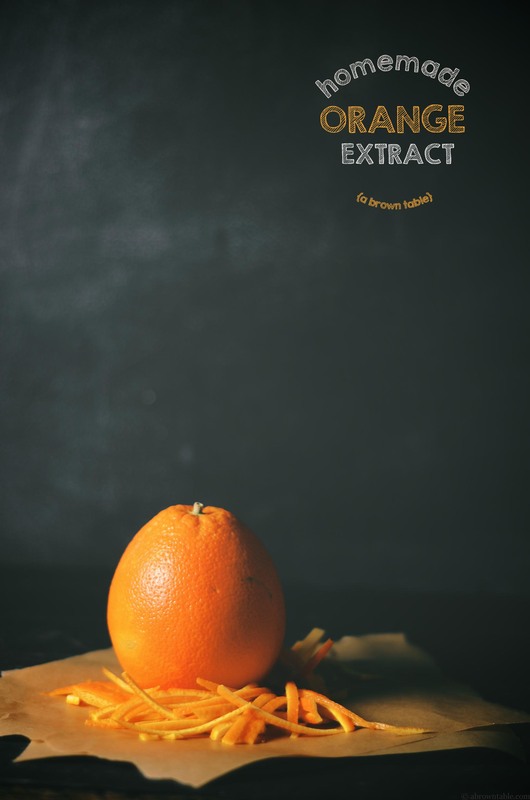 This is my simplified version of preparing an orange extract for flavoring purposes. I recommend using a good quality unflavored 40% vodka while preparing this, there are two reasons for this, you need both water and alcohol to extract the flavors in the peels but using water also helps to extract aromatic compounds from the orange that will remain behind in the baked goods. If you use pure 100% alcohol, most of the stuff extracted will evaporate during the high heat temperatures. I prefer doing a warm extraction of the peels, I find the flavors to be much more complex and stronger. To be safe, I recommend warming the vodka in a water bath that is not on a stove or near any fire source. As soon as the warmed vodka hits the peels the extraction process will begin. 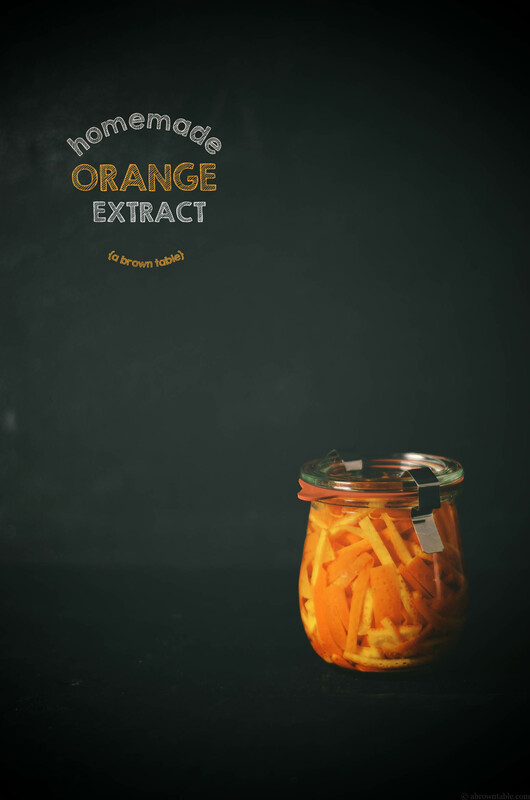 I leave the peels in the jar for a prettier effect and store the extract in the refrigerator. Also, the fresher the oranges the better the flavors extracted so I prefer to extract my oranges the day I buy them. You could also divide the extract into tinier vials for storage and or as gifts. Amber colored glass bottles are the best way to store most extracts, if you can't find them just cover your regular glass bottle/vial with aluminum foil to reduce the exposure to light. Light tends to breakdown the compounds in the extract, so limited exposure to light increases the quality and shelf life. 1. Sterilize a clean 7.5 fluid ounces (~200ml) canning jar and lid with boiling water. Remove and keep covered with a clean cloth or paper towel until ready to fill the jar. 2. Place the 150ml vodka in heatproof jar and seal the lid with cling film. Then place the jar in the bowl containing the boiling water. Allow the vodka to warm for about 1 1/2 - 2 minutes. 2. Rinse the oranges under cold running water. Gently, pat them dry with a clean paper towel. 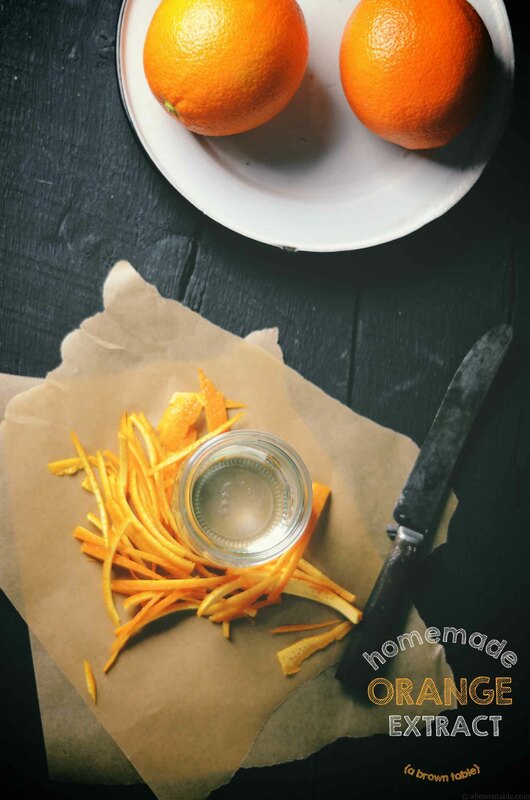 Peel the oranges and using a sharp knife julienne the peels into thin 2 inch sections. 3. Rinse the canning jar with the little extra vodka and discard the liquid. Stuff the jar with the cut orange peels. Fill the jar with prewarmed 150ml vodka or until the peels are completely covered with the vodka. 4. Seal the jar with the lid and tighten. Shake the contents of the jar vigorously for a few seconds. Place the jar in the refrigerator for 1 week and shake once every day. The extract is ready to use after one week. You can store the extract in the same jar or divide and transfer the liquid into smaller airtight jars or vials. 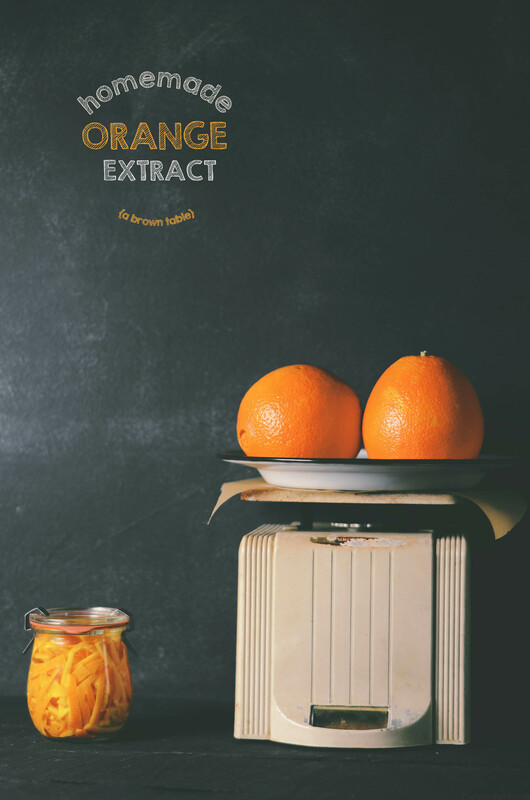 The extract can be stored in the refrigerator or in a cool dark place. In "Baking", "Orange", "homemade", "orange extract", "vodka"
I watch a lot of British television shows and it's pretty common for me to have my television, set to the local PBS UK station or the BBCA. 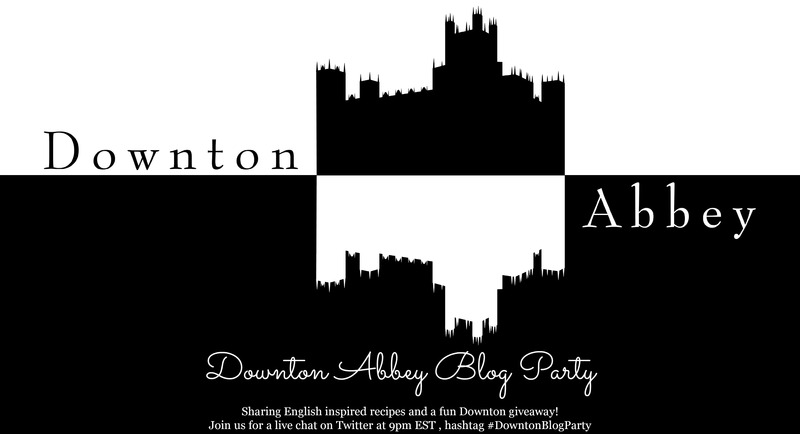 I sometimes even leave the television on when I'm working on my blog, that is also how I first discovered Downton Abbey a few years back, one Sunday night while watching the PBS Masterpiece Theater series. The fact that the show is a period piece makes it particularly fascinating since I am a big history buff plus the Dowager Countess, Lady Violet with her witty barbs makes the show even more entertaining. 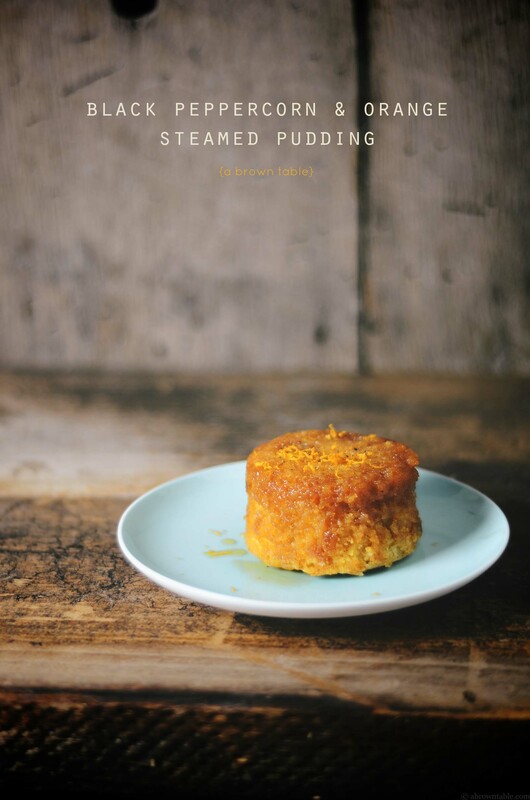 I am very fond of steamed English puddings so I thought why not make something special to commemorate the start of the new season and dedicate it to one of my favorite characters on the show. 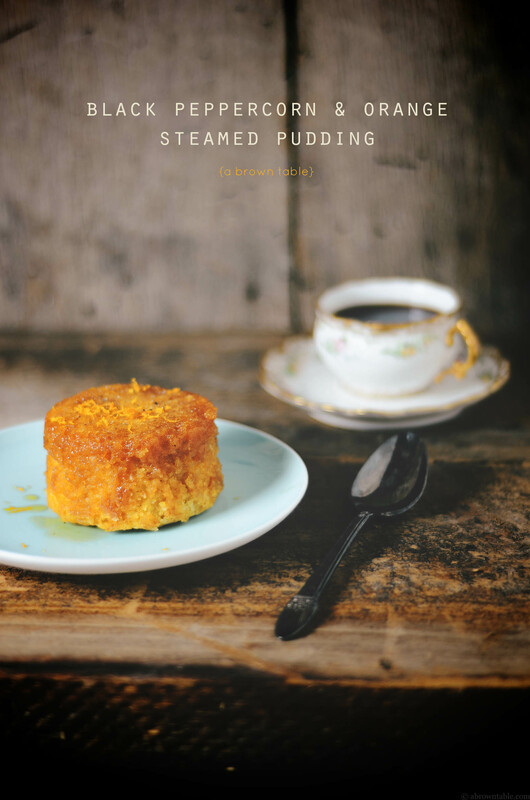 Just like Lady Violet, this steamed pudding is bursting with fresh orange flavor and yet has an unexpected but pleasantly surprising hint of heat from the black pepper. There's a generous dash of honey that serves as a sweet sauce for each warm pudding without making the pudding too saucy or very sweet. I think these individual size puddings are going to fit right in for the the little viewing party, I'm hosting for a few of my friends. I don't own a pudding basin and if you don't have one either, don't worry, I have an easy solution for you. This is the perfect way to use one of your extra unused canning jars from your pantry. I selected the 4-4.5 oz jars that I use to store jams and preserves and they work really well. I've also listed out special instructions in the recipe, on how to work with both the Weck and Ball brands of jars. (The photograph below shows how I fixed the lids for steaming). To share the excitement, Carrie of Bakeaholic Mama is hosting a fun giveaway with a bunch of amazing bloggers. 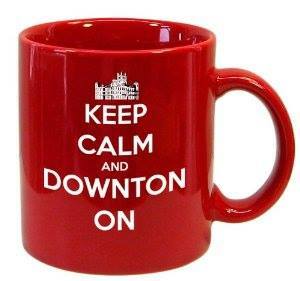 The extremely popular Unofficial Downton Abbey Cookbook and coffee mug are all up for grabs starting today! To participate and enter, simply follow the instructions on the Rafflecopter widget at the end of this post. Good luck and have fun! Please do check out the amazing bloggers who are participating in this fun and exciting giveaway! 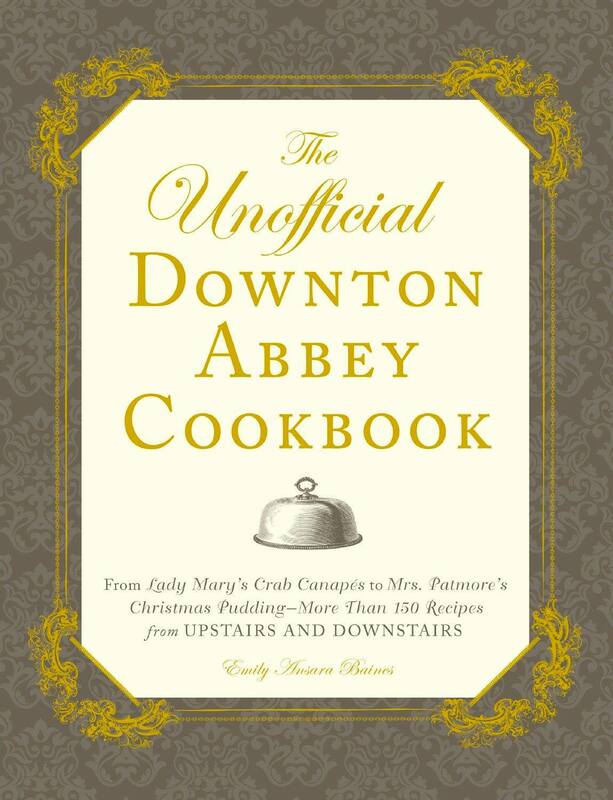 Each one has a special Downton Abbey themed recipe that you will love. 1. On a sheet of parchment paper draw and cut out circles that will fit the inside bottom of the canning jars. Grease the inside of each jar with the extra unsalted butter. Place one of the parchment paper circles at the bottom of each jar. Keep the jars aside until ready to fill with the pudding batter. 2. Sift the flour and baking powder three times and keep aside. 3. Place the stick of butter, sugar, and 2 tablespoons of honey in the mixing bowl of a stand mixer. Using the paddle attachment, cream the butter and sugar at medium low speed for 5 minutes until completely smooth. 4. Beat in one egg at a time, until completely blended. 5. After all the eggs are mixed in, add the orange zest and the black peppercorn and mix on medium-low speed for 20 seconds. 6. Add the sifted flour to the batter and mix at medium-low speed for about 1 minute or until completely mixed and no flecks of flour can be observed. 7. Place one teaspoon of honey in each jar. Then using a tablespoon, scoop out the batter into each jar and fill them up to 1/4 the height of the jar. Smooth the surface of the batter in each jar with the back of the spoon. For Weck Jars: Place the glass lid on top of the mouth of the jar and firmly with the clips. You do not need to use the rubber seals, only the metal clips. For Ball Jars: If you are using the Ball jars, then place a precut square of aluminum foil over the mouth of each jar and then lightly tighten the foil using the appropriately sized bands. Make a tiny hole with a skewer in the center of the aluminum sheet of each jar. 8. Place the jars in a large stockpot that has a lid. Fill the stockpot with enough water to come up halfway up the side of the jars. 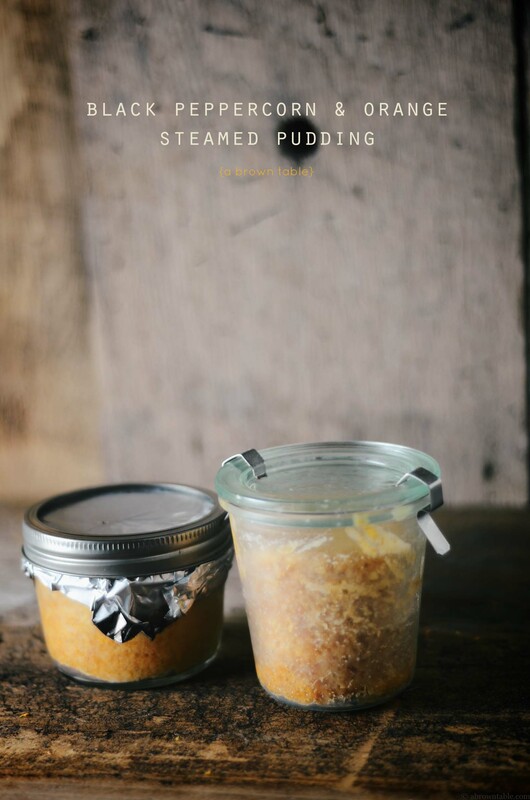 Place the lid on the stockpot and steam for 1 hour and 30 minutes or until the puddings have risen completely and look spongy from outside and the pudding should not move when the jar is tilted slightly. To ensure that the puddings are completely cooked, remove one jar and open the lid. The pudding will have risen and the center should be firm and spongy to touch or a skewer when inserted should come out clean through the center of the pudding. If they are not cooked then seal as before and return the puddings to the stockpot and cook until done. 9. To serve, open the lid of the hot cooked pudding. Run the flat end of a butter knife around the edges of the pudding carefully. Place a serving plate on the top of the mouth of the jar and then flip the jar. The pudding will be released on to the plate. Peel the parchment paper off the top of the pudding and discard. Before serving, I like to serve this warm pudding garnished with a little extra fresh orange zest. Disclaimer: This post is in no way sponsored by the Official Downton Abbey/ Weck Jars/ Ball Jars. In "Ball", "Downton Abbey", "English", "Jars", "Orange", "Weck", "black peppercorn", "steamed pudding"